With Scanning Probe Microscopy (SPM) a sample is scanned by a probe in order to gather information about the properties of the surface. There are different types of SPM. 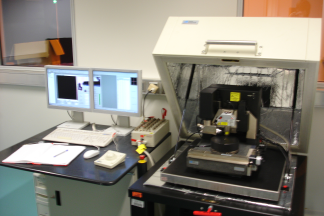 We use Atomic Force Microscopy (AFM) and Magnetic Force Microscopy (MFM). Its resolution is down to nanometer. In this case, the probe is a very tiny sharp tip at the end of cantilever. 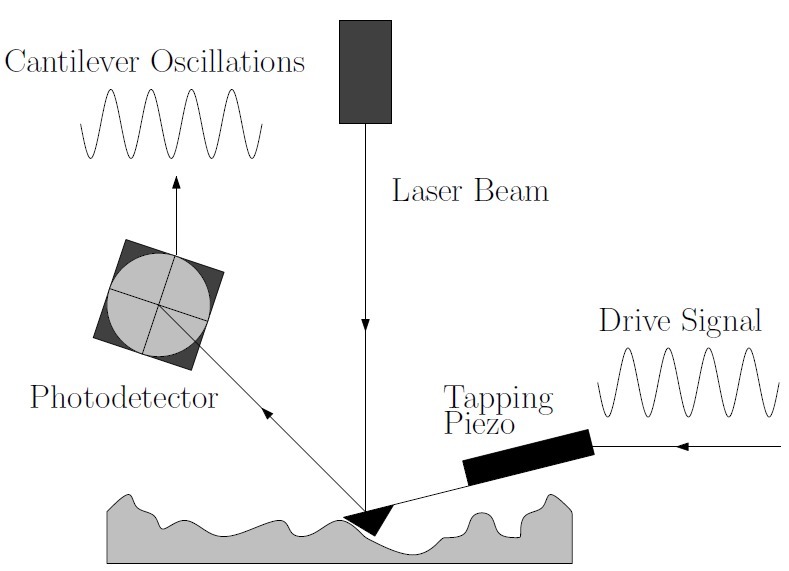 With AFM the force between the surface and the probe is measured. There are two different modes to achieve this goal. Contact Mode: The tip is directly in contact with the surface. The force is dominated by van der Waals interaction and short range forces. Tapping Mode: It is a Non Contact Mode. A Drive Signal, applied to the "Tapping Piezo", mechanically oscillates the probe at or near its resonance frequency. The interaction between the tip and the surface changes the cantilever oscillation amplitude or the phase relative to the Drive Signal (see schematic). In this case, the probe is a magnetic tip. The magnetic tip is sensitive to the out-of-plane component of the stray field originating from a magnetic sample (e.g. from a domain wall). This technique uses the Interleave and Lift-ModeTM. During these modes each scan line is recorded twice. 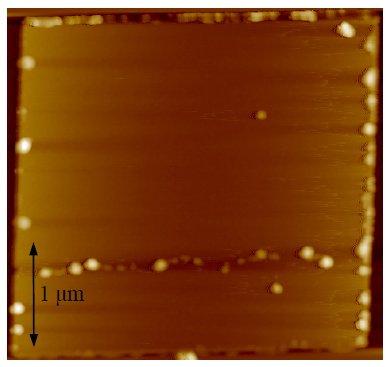 First, the topographic information of the line is recorded using the AFM Tapping Mode. This information is used during the second scan order to keep the cantilever always at a certain probe sample distance, called Lift Height. 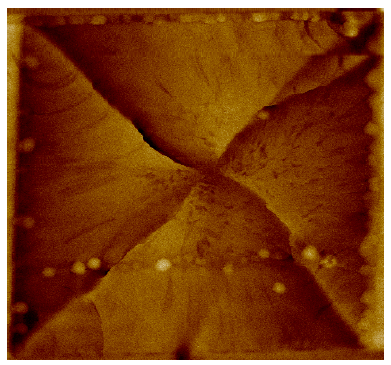 During this scan the magnetic tip is only sensitive to the magnetic stray field from the sample. Therefore the combination of these two modes enables an accurate localization of the magnetic stray fields on the magnetic structure along with a good matching of topological artifacts. 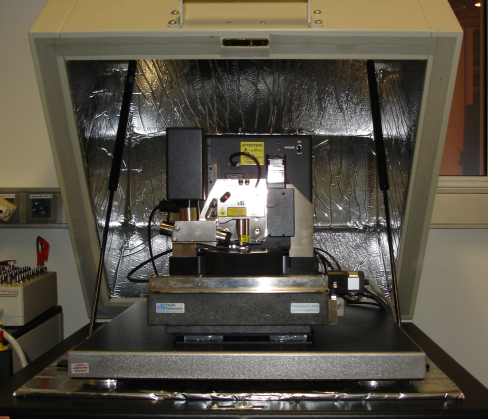 Our setup is the Digital Instruments 3100 Dimension Atomic Force Microscope. It is used both for topographical (AFM) and magnetic (MFM) imaging. It can be expanded to study effects on the magnetic structure under an applied magnetic field.